Alfa Romeo Giulietta Performance, Engine, Ride, Handling | What Car? The Giulietta has a wide range of engines and even the least powerful ones give decent performance. Petrol fans can choose from a 1.4-litre unit with either 118bhp, 148bhp or 168bhp, or a 237bhp 1.7-litre engine that’s fast enough to frighten all but the hottest hatches. Of these, we’d stick to the cheapest 118bhp 1.4, which revs keenly and gets from 0-62mph in a perky 9.4sec. However, the best engine in the range is the 118bhp 1.6-litre diesel. It’s not overtly rapid but offers plenty of useful mid-range punch so it’s relaxing to drive. The 2.0-litre diesels with 148bhp or 172bhp are fast but, for most people, the 1.6 will do the job. All Giuliettas have Alfa’s DNA ‘driving mode selector’, which changes the reactions of the engine, brakes and accelerator according to Dynamic, Natural and All-weather settings at the flick of a switch. It’s little more than a gimmick, though; the accelerator is too sensitive in Dynamic mode and reacts incredibly slowly in All-weather. 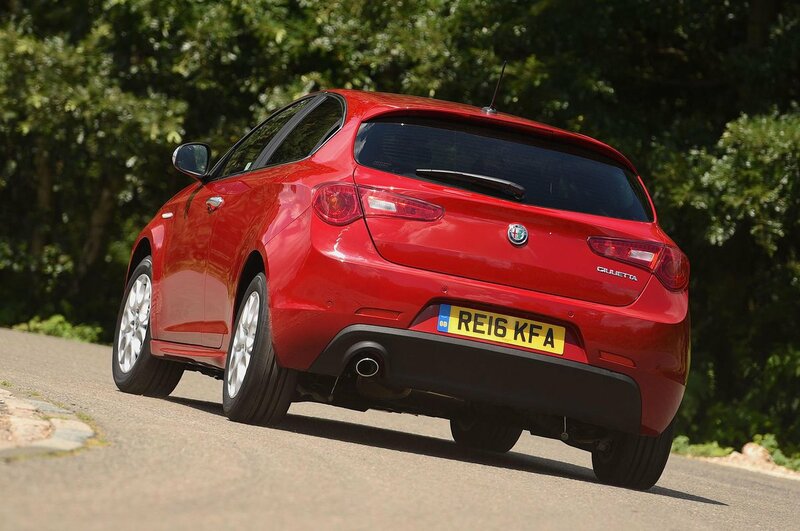 Ride quality isn’t one of the Giulietta’s strengths. Lower-spec models have suspension that’s comfort-oriented and reasonably forgiving. General surface dimples and even larger speed bumps are no problem. It’s only when you hit sharper intrusions such as deep potholes, which result in a hefty thud through the cabin, that you feel the difference compared with better-riding cars such as the Audi A3. Higher-spec cars have stiffer suspension that provides better control but also a firmer ride. They have larger alloy wheels with lower-profile tyres, too – this doesn’t help comfort. The Quadrifoglio Verde hot hatch has lowered sport suspension so is less forgiving still. You can tailor the Giulietta’s steering responses by selecting between its three DNA modes. Whichever you choose, you don’t get much steering feel, which is disappointing in a car that’s meant to be sporty. It’s a shame, because other than that the Giulietta actually handles pretty well. It turns in to corners sharply and delivers decent grip, although there's a bit more lean through bends than you might expect. That's lessened with the sports suspension fitted to the pricier trim levels, which provides a bit more composure and bite. 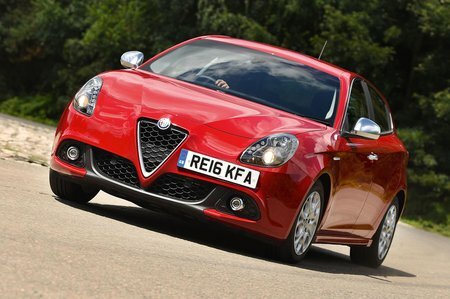 Despite improvements in 2016, the Giulietta can’t match the class leaders for refinement. It does have good points: the petrol engines are smooth when you want them to be and have an appealing growl when you work them hard, while wind noise isn’t too much of a problem. The smaller 1.6-litre diesel is pretty good, too, allowing relatively hushed progress while keeping the engine’s vibrations well isolated from the cabin. The 2.0-litre units are grumblier and whoosh loudly when you accelerate. Road noise can be intrusive over some roads at speed, however, and the stop/start system is a bit jerky. The gearshift on manual versions isn’t particularly precise, either, while the TCT semi-automatic transmission is neither the smoothest nor most responsive of its type.